At The Umansky Law Firm, our lawyers know how to obtain results for clients who have been injured by the negligence of another person or company. 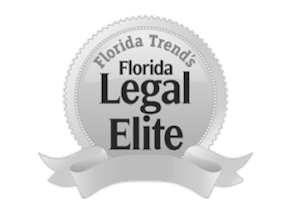 All of our accomplished personal injury attorneys have extensive experience preparing cases for trial and trying cases before juries in Florida. When it comes to results, there is only one case that matters—yours. At The Umansky Law Firm , we are not happy to rest on our laurels. We are dedicated attorneys constantly working to obtain even larger settlements for our clients, while providing them with the personal attention they deserve. When it comes to results, there is only one case that matters—yours. If you have been injured in any type of motor vehicle accident, such as car accident, truck accident, or motorcycle accident, contact our office today. We will fight to obtain a settlement from the other driver’s insurance company which will compensate you for all of injury-related losses, including your lost income, medical bills, disability, pain, suffering, and emotional distress. The Umansky Law Firm is a dedicated focused group of attorneys. We are serious about our pursuit of justice, and we pride ourselves on being there for our clients. However, we are by no means a robotic group of lawyers. At the heart of every attorney on our team is a compassionate, positive and intelligent person who is simply passionate about helping others. Each employee is encouraged to follow his or her dreams and be active in hobbies and activities that are unrelated to work, and to apply those energies and interests to their work wherever possible. We have fitness enthusiasts, mountain climbers, golf aficionados, and back packers, world travelers, musicians, and marathoners, who work or have worked in our firm. Many of our lawyers are active in not-for-profit organizations where we volunteer our time helping those in need. We serve as coaches for youth teams, board members at charities and believe that we should change the community we live in for the better. There is a corporate culture of fun and freedom at our offices which allows our attorneys to think outside the box and discover unique and innovative ways to approach each case. We are not interested in doing things for the status quo. We are interested in finding out what is best for you. If you have been injured, or a loved one has been killed, and someone else was at fault, we would be happy to review the facts of your case. Contact us for a free consultation and case evaluation with an experienced personal injury attorney, at The Umansky Law Firm, P.A. in Orlando, Florida, today. Every case is unique and results will vary based on the facts of an individual case. No case results can be guaranteed. These are just a sample of the cases we have settled, tried or currently litigating. Each case has its own set of circumstances and results are so different depending on so many factors it is hard to predict what your case is truly worth until a full investigation is done.